As with depressive illness, we aren’t sure exactly what causes bipolar illness. The causes seem to differ somewhat from those listed for depressive disorders; external upsetting events are not as likely to precipitate an episode. Someone with a bipolar disorder almost always has a close relative who has a variant of the disorder. However, the incidence of bipolar illness is much lower than that of depressive illness. The chance of developing a bipolar illness over a lifetime is estimated to be between 0.6 and 0.9 per cent, although this too may be an underestimate. The chance of developing a major depressive disorder over a lifetime ranges from 2 to 12 per cent for men and from 5 to 26 per cent for women, depending on the study. The risk of inheriting a form of bipolar illness is higher than the risk of inheriting a depressive disorder. It’s likely that defects in several genes work together to cause the illness. When one identical twin develops the illness, the other also develops it in 60 per cent of cases. If one fraternal twin develops it, the other will develop it in 30 per cent of cases. If a parent has a bipolar illness, a child has a higher chance of developing the illness. As in depressive disorder, the illness occurs whether or not the child is raised with the natural parents, so it seems to be caused by a genetic similarity rather than by the family environment, as has been shown by the adoption studies. Again, the genetic predisposition does not always cause the illness. There are other possible causes as well. Men and women are affected equally in bipolar illness. 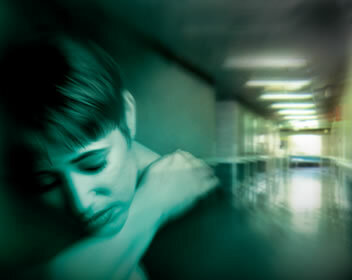 However, about 70 per cent of women with bipolar illness have rapid cycling disorder, compared to 20 per cent among men. Women also have more bipolar II disorders than men. The diagnosis of bipolar II – sometimes referred to as soft bipolarity – can be missed. The people who seem most prone to develop bipolar illness are those who have an outgoing temperament. They are responsive to other people, and their enthusiasm and sense of fun can be very engaging. They can be carefree, sociable, and highly energetic. Many people with bipolar illness are also creative and artistic, and many work as artists and performers.